A great super fresh arrival! This could be the one you Kenyan fans have been waiting for. Bright and clean as can be, almost a little teeth chattering at those light roast points. These beans are from family owned farms located on the southeastern slopes of the Aberdares mountain ranges in Nyeri County, Kenya. The Kamoini Factory was founded in 1987. Farmers deliver their harvested cherry to be processed at the Kamoini Factory (wet mill), which is managed by the Othaya Farmers Co-operative Society. 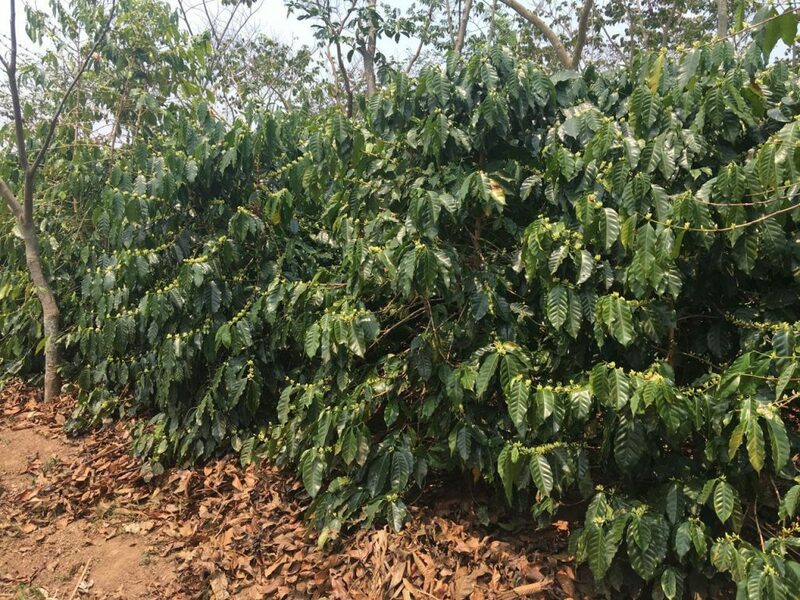 Cooperative members generally cultivate around 250 coffee trees on half-acre plots intercropped with Bananas, Grevillea, and Macadamia trees. Very dependent on roast a super fun one to play around with. Hard to make low acidity so make sure you like at least a medium acidity cup if you buy this guy. Light roasts will be very lemony citrus and floral balanced with just a little hint of a chocolate tone (green tea spice accent) with great aromatics that add some soft fruit tones. Medium roasts get a little more balanced but still strong on the floral front end, introduces a little soft fruit note not just in the aromatics. Dark roasts mute up a lot of acidity but you will still notice some, greatly strengthens the chocolate tea spice note and becomes much more bittersweet. Hard to know what one would like best with this cup but when first drinking this pretty extreme Kenyan, I would suggest taking it a little closer to 2nd crack than first, a bit more balanced. Go lighter if you want more floral, darker if more chocolaty body. See Our Full Coffee List Here!